Grant B, Kelly F, Manathunga, C, Sato M & Guerin C. (2017) Academic Identities. Hiroshima University International Research Collaboration grant. $40,000. Guerin C. (2017) Social media and doctoral education. Faculty Research-Active Grant Scheme. $3388. Guerin C, Laming M & Walker R (2014) HDR supervisor training and development in Australian universities: a scoping study. Association for Academic Language & Learning (AALL) Research and Resource Development Grant. $4000. Palmer E, Picard M, Green I, Guerin C, Miller J, Velliaris D & Smith S. (2012) HERDSA Review of Australian Learning and Teaching Scholarship and Research. Higher Education Research and Development Association. $50 000. Guerin C, Ranasinghe D, McCulloch A, Calder P. (2012) Motivating students to engage in postgraduate research degrees in ICT. Australian Council of Deans of ICT (ACDICT) Learning and Teaching Academy (ALTA). $15 000. Green I & Guerin C. (2010) Letters Home Project, Equity and Diversity Grant, University of Adelaide. $5000. Guerin, C. (2018). Spaces, journeys, new horizons – where are we now and where do we want to go? In E. Bitzer, L. Frick, M. Fourie-Malherbe & K. Pyhalto (eds), Spaces, Journeys and New Horizons for Postgraduate Supervision. Stellenbosch: SUN Press. Guerin, C. (2018) Feedback from journal reviewers: Writing a thesis by publication. In D. Laurs and C. Carter (eds), Developing Research Writing: A Handbook for Supervisors and Advisors, Routledge. Guerin, C. & Aitchison, C. (2018) Peer writing groups. In D. Laurs and C. Carter (eds), Developing Research Writing: A Handbook for Supervisors and Advisors, Routledge. McCulloch, A., Guerin, C., Jayatilaka, A., Ranasinghe, D. & Calder, P. (2017) Choosing to study for a PhD: A framework for examining decisions to become a research student. Higher Education Review 2(49), 85-106. Guerin, C., Walker, R., Aitchison, C., Laming, M.M., Padmanabhan, M.C. & James, B. (2017). Doctoral supervisor development in Australian universities: Preparing research supervisors to teach writing. Journal of Academic Language and Learning, 11(1), A88-a103. Guerin C., Aitchison C., & Carter S. (2016) Networks, nodes and knowledge: Blogging to support doctoral candidates and supervisors. In M. Fourie-Malherbe, R. Albertyn, C. Aitchison & E. Bitzer (eds), Postgraduate supervision: future foci for the knowledge society. 269-282. SUN Press, Stellenbosch. Guerin, C., Jayatilaka, A., Ranasinghe, D., McCulloch, A. & Calder, P. (2016) Research degrees in Information and Communication Technology (ICT): Why so few doctoral students? Journal of Further and Higher Education. http://dx.doi.org/10.1080/0309877X.2016.1159290 . Badenhorst, C. & Guerin, C. (2016) Post/graduate research literacies and writing pedagogies. In C. Badenhorst & C. Guerin (eds), Research Literacies and Writing Pedagogies for Masters and Doctoral Writers, Studies in Writing Series, Brill: Leiden, Netherlands. Guerin, C. (2016) Connecting the dots: Writing a doctoral thesis by publication. In C. Badenhorst & C. Guerin (eds), Research Literacies and Writing Pedagogies for Masters and Doctoral Writers, Studies in Writing Series, Brill: Leiden, Netherlands. Guerin, C., Bartholomew, P. & Nygaard, C. (2015) Learning to research, researching to learn. In C. Guerin, P. Bartholomew & C. Nygaard (eds), Learning to Research, Researching to Learn, Libri: Faringdon, UK. Picard, M. & Guerin, C. (2015) Learning to research in the professions: Possibilities of discovery learning. In C. Guerin, P. Bartholomew & C. Nygaard (eds), Learning to Research, Researching to Learn, Libri: Faringdon, UK. Guerin, C., Carter, S. & Aitchison, C. (2015) Blogging as learning community: Lessons for academic development? International Journal for Academic Development. 20(3): 212-223. DOI:10.1080/1360144X.2015.1042480. Guerin, C., Kerr, H. & Green, I. (2015) Supervision pedagogies: Narratives from the field. Teaching in Higher Education 20(1): 107-118. DOI: 10.1080/13562517.2014.957271. Guerin, C. & Green, I. (2015) "They're the bosses": Feedback in team supervision. Journal of Further and Higher Education. 39(3): 320-335. DOI:10.1080/0309877X.2013.831039. Guerin, C., Jayatilaka, A. & Ranasinghe, D. (2015) Why start a higher degree by research? An exploratory factor analysis of motivations to undertake doctoral studies. Higher Education Research & Development. 34(1): 89-104. DOI: 10.1080/07294360.2014.934663. Guerin, C. & Green, I. (2014) Cultural diversity and the imagined community of the global academy. Asia Pacific Journal of Education. DOI: 10.1080/02188791.2014.922048. Guerin, C. (2014) The gift of writing groups: Critique, community and confidence. In C. Aitchison & C. Guerin (eds), Writing Groups for Doctoral Education and Beyond: Innovations in Practice and Theory, Abingdon: Routledge. Aitchison, C. & Guerin, C. (2014) Writing groups, theory, pedagogy and practice: An introduction. In C. Aitchison & C. Guerin (eds), Writing Groups for Doctoral Education and Beyond: Innovations in Practice and Theory, Abingdon: Routledge. Guerin, C. (2013) Rhizomatic research cultures, writing groups and academic researcher identities. International Journal of Doctoral Studies 8, 137-150. Guerin, C., Xafis, V., Doda, D.V., Gillam, M., Larg, A., Luckner, H., Jahan, N., Widayati, A. & Xu, C. (2013) Diversity in collaborative research communities: A multicultural, multidisciplinary thesis writing group in Public Health. Studies in Continuing Education 35(1): 65-81. DOI:10.1080/0158037X.2012.684375. Guerin, C. & M. Picard (2012) Try it on: voice, concordancing and text-matching in doctoral writing. International Journal of Educational Integrity 8(2). Guerin, C. (2012) Positioning academic identities for rhizomatic research cultures: the case for diversity in doctoral writing groups. In Narratives of Transition, Conference Proceedings of 10th Quality in Postgraduate Research Conference, http://qpr.edu.au. Guerin, C. & Green, I. (2012) Voice as a threshold concept in doctoral writing. In Narratives of Transition, Conference Proceedings of 10th Quality in Postgraduate Research Conference, http://qpr.edu.au. Picard, M. & Guerin, C. (2011) "Be original, but not too original": Developing academic voice through innovative use of text-matching and concordancing software. In Beyond Transmission: Innovations in University Teaching. Libri, UK. Guerin, C., Bastalich, W. & Green, I. (2011) Big love: Managing a team of research supervisors. In Kumar, V. & Lee, A. (eds). Connecting the Local, Regional and International in Doctoral Education, Serdang, Universiti Putra Malaysia Press. Guerin, C. & Ranasinghe, D. (2010) Why I wanted more: Inspirational experiences of the teaching-research nexus for engineering undergraduates. Journal of University Learning and Teaching Practice 7(2). Guerin, C. & Green, I. (2009) The transcultural academic: Cosmopolitanism and the imagined community of the global academy. Journal of the World Universities Forum 2(3): 17-24. Cadman, K., Barnett, J. & Guerin, C. (Eds) (2009) Pedagogies of connection. TESOL in Context Special Edition S2. Guerin, C. & Barbour, K. (19-21 Sept 2018). Becoming academics: producing an online academic persona as a postgraduate student. The Peaceful University, 6th International Academic Identities Conference (IAIC), Hiroshima University, Japan. Guerin, C. (19-21 Sept 2018). Guidance on the journey from “curious student to researcher”. Symposium: Academic identity in doctoral thesis acknowledgements: formations in place, space and time. The Peaceful University, 6th International Academic Identities Conference (IAIC), Hiroshima University, Japan. Aitchison, C., Harper, R., Mirriahi, N. & Guerin, C. (19-21 Sept 2018). “I mean, I’m still going to talk to academics” Who will educational developers be in the technology-driven future? The Peaceful University, 6th International Academic Identities Conference (IAIC), Hiroshima University, Japan. Aitchison, C., Guerin, C., Paré, A. & Benzie, H. (19-21 Sept 2018). Academics ageing (dis)gracefully: pleasures and pains. The Peaceful University, 6th International Academic Identities Conference (IAIC), Hiroshima University, Japan. Harper, R., Aitchison, C., Mirriahi, N. & Guerin, C. (2-5 July 2018). Developing the person or the product? An educational development balancing act. (Re)Valuing Higher Education, Higher Education Research and Development Society of Australasia (HERDSA) Conference, Adelaide. Guerin, C. (2-5 July 2018). Re-valuing the doctorate: motivations and careers of Humanities, Arts and Social Sciences PhD graduates (Re)Valuing Higher Education, Higher Education Research and Development Society of Australasia (HERDSA) Conference, Adelaide. Guerin, C. (2018, April 17-19). Doctoral thesis acknowledgements in 2017: Emerging academic identities. Symposium presentation. Thirteenth Quality in Postgraduate Education (QPR) conference on Impact, Engagement and Doctoral Education, Adelaide, SA. Guerin, C. (2018, April 17-19). Where are they now? Impact of doctoral experience on career trajectories of PhD graduates in Humanities, Arts and Social Sciences. Thirteenth Quality in Postgraduate Education (QPR) conference on Impact, Engagement and Doctoral Education, Adelaide, SA. about doctoral writing. Thirteenth Quality in Postgraduate Education (QPR) conference on Impact, Engagement and Doctoral Education, Adelaide, SA. Guerin, C. (2017, 6-7 November). Editing and feedback on HDR writing: How much is too much? 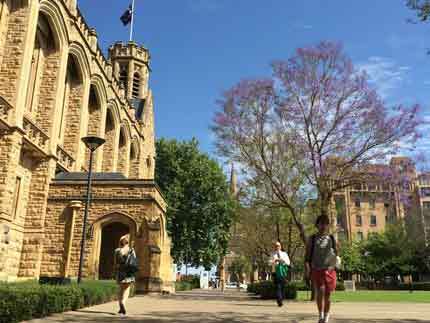 Eighth Asia Pacific Conference on Educational Integrity, Sydney, NSW. Guerin, C. (2017, April 3-4). When it's all done and dusted: Training for careers beyond the doctorate. Third International Conference on Developments in Doctoral Education and Training (ICDDET), Stratford upon Avon, UK. Guerin, C. (2017, February 14-17). Research writing and blogging: Engagement through reflection. Fourth Writing Research Across Borders (WRAB) conference, Bogota, Colombia. Guerin, C. (2017, February 14-17). Research literacies and the thesis by publication. Symposium - Publishing in the international arena: Research literacies for new scholars. Fourth Writing Research Across Borders (WRAB) conference, Bogota, Colombia. Guerin, C. & Badenhorst, C. (2016, April 20-22). Research literacies as resource in the 'gig' economy. Twelfth Quality in Postgraduate Education (QPR) conference on Society, Economy and Communities: 21st Century Innovation in Doctoral Education, Adelaide, SA. Guerin, C., Aitchison, C., Chatterjee-Padmanabhan, M., James, B., Laming, M., & Walker, R. (2016, April 20-22). Preparing supervisors to support doctoral writing in Australia: Absence, uncertainty, and diversity. Twelfth Quality in Postgraduate Education (QPR) conference on Society, Economy and Communities: 21st Century Innovation in Doctoral Education, Adelaide, SA. Guerin, C. (2016, April 20-22). The doctorate as product, pedagogy and publish good: Impact, value, benefit. Symposium presentation. Twelfth Quality in Postgraduate Education (QPR) conference on Society, Economy and Communities: 21st Century Innovation in Doctoral Education, Adelaide, SA. Guerin, C., Frick, L., & Grant, B. (2016, April 18-19). Introduction to innovative/alternative research methods and methodologies. Fourth International Doctoral Education Research Network (IDERN) meeting. Adelaide, SA. Aitchison, C. & Guerin, C. (2015, Nov 25-27). The rise of doctoral writing groups: Are we in danger of being left behind? Association for Academic Language and Learning (AALL) conference, Wollongong, NSW. Walker, R., Guerin, C., Laming, M., Aitchison, C., James, B., & Chatterjee-Padmanabhan, M. (2015, Nov 25-27). "Supervisors have an enormous hunger for anything to do with writing": So how is AALL meeting this need? Association for Academic Language and Learning (AALL) conference, Wollongong, NSW. Guerin, C. (2015, March 30-31). Putting it out there: The thesis by publication and connectivism. Second International Conference on Developments in Doctoral Education and Training, Oxford, UK. Guerin, C., Aitchison, C. & Carter S. (2015, March 24-27). Networks and knowledge: Blogging to support academic development of doctoral candidates and supervisors. Fifth Postgraduate Supervision Conference on Looking Ahead: The Future of Postgradaute Supervision in the Knowledge Society, Stellenbosch, South Africa. Guerin, C. (2014, October 3). Academic writing month (AcWriMo): A 30-day online writing group for doctoral candidates at Adelaide University. Association for Academic Language and Learning (AALL) Symposium on Doctoral Writing. Sydney, NSW. Guerin, C., Green I. & Enomoto, K. (2014, July 7-10). The new academic mobility and international research collaboration. HERDSA conference on Higher Education in a Globalized World, Hong Kong, PRC. Green, I. & Guerin, C. (2014, July 7-10). 'Collaborative critique' for developing transcultural research degree supervision. HERDSA conference on Higher Education in a Globalized World, Hong Kong, PRC. Guerin, C. (2014, Feb 19-22). Researcher education: Writing groups for the 21st century. Third Writing Research Across Borders Conference (WRAB), Paris, France. Guerin, C., Kerr, H. & Green, I. (2013, April 23-26). Identities and boundaries in supervision pedagogies: narratives from the field. Fourth Postgraduate Supervision Conference, Stellenbosch, South Africa. Guerin, C. & Picard, M. (2012, July 16-18). To match or not to match: voice, concordancing and textmatching in doctoral writing. Fifth International Plagiarism Conference, Newcastle-upon-Tyne, UK. Guerin, C. & Green, I. (2012, June 27-29). Is voice a threshold concept in doctoral education? Fourth Biennial Threshold Concepts Conference on From Personal Practice to Communities of Practice, Dublin, Ireland. Guerin, C. & Green, I. (2012, June 12-15). The Letters Home project. Sixth Academic Consortium 21 (AC21) forum on Maximising the Benefits of Internationalisation, Adelaide, SA. Guerin, C., Green, I. & Picard, M. (2012, June 12-15). A coordinated framework for developing researchers' intercultural competency. Sixth Academic Consortium 21 (AC21) forum on Maximising the Benefits of Internationalisation, Adelaide, SA. Guerin, C. (2012, April 17-19). Positioning academic identities for rhizomatic research cultures: The case for diversity in doctoral writing groups. Tenth Quality in Postgraduate Education (QPR) conference on Narratives of Transition, Adelaide, SA. Guerin, C. & Green, I. (2012, April 17-19). Doctoral voices: Threshold concepts in research supervision. 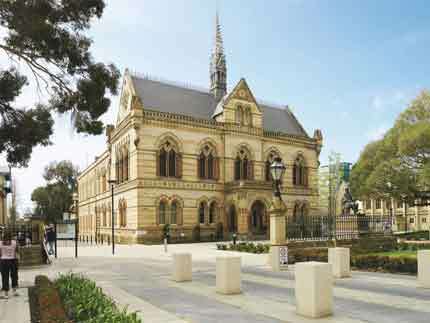 Tenth Quality in Postgraduate Education (QPR) conference onNarratives of Transition, Adelaide, SA. Picard, M. & Guerin, C. (2011, 26-28 September). Developing authorial voice in EAL research students: Combining concordancing and textmatching software. Fifth Asia Pacific Conference on Educational Integrity (APCEI) on Educational Integrity: Culture and Values, Perth, WA. Guerin, C. and Green, I. (2011, April 18-21). Team supervision, academic subjectivity and research cultures. Postgraduate Supervision conference on Promoting a Culture of Postgraduate Scholarship, Stellenbosch, South Africa. Guerin, C. and Ranasinghe, D. (2010, October 25-26). For love or money? Research-teaching linkages and recruitment into higher degrees by research. International Pedagogical Research into Higher Education (PRHE) conference on Research-Teaching Linkages to Enhance Student Learning, Liverpool, UK. Picard, M. and Guerin, C. (2010, September 23-24). Acceptable discipline ‘intertextuality’ versus plagiarism: Combining concordancing with plagiarism-detection software as pedagogic tools. The 5th Education Research Group of Adelaide (ERGA) conference on The Changing Face of Education, Adelaide, SA. Green, I. and Guerin, C. (2010, July 20-22). Pedagogy, hedagogy, redagogy: Legitimizing researcher education. Higher Education Close Up 5 (HECU5) conference onQuestioning Theory-Method Relations in Higher Education Research, Lancaster, UK. Green, I. and Guerin, C. (2010, June 28-30). Homogeneity or diversity? 'Collaborative critique' in cross-cultural research degree supervision training. International Congress for Educational Development (ICED) on Enhancing Strategies for Global Quality Learning in Higher Education, Barcelona, Spain. Guerin, C. and Green, I. (2010, April 19-23). Team supervision: A new era in supervisor and candidate relations? International Doctoral Education Research Network (IDERN) Invitational Meeting on Connecting the Local, Regional and Global in Doctoral Education Research, Putrajaya, Malaysia. Guerin, C. and Ranasinghe, D. (2010, April 13-15). What's exciting about the teaching-research nexus? 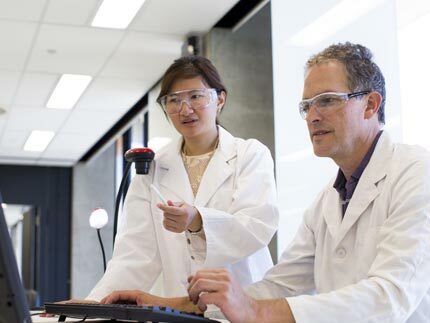 Experiences that inspire undergraduates to become researchers. Quality in Postgraduate Education (QPR) conference on Educating Researchers for the 21st Century, Adelaide, SA. Guerin, C. and Green, I. (2009, December 8-10). Research supervision and internationalisation: Belonging to the global academy. Society for Research into Higher Education (SRHE) on Challenging Higher Education: Knowledge, policy and practice, Newport, UK. Guerin, C. and Green, I. (2009, January). Transcultural supervision: EAL supervisors and their research students. Virtual presentation at the World Universities Forum, Mumbai, India. Accessed at http://2009.ontheuniversity.com/sessions/index.html. 'Writing groups for doctoral candidates'. Faculty of Education, University of Iceland, Reykjavik, 5 October, 2016. 'Mixed methods in educational research: a compulsory future?' Panel member. 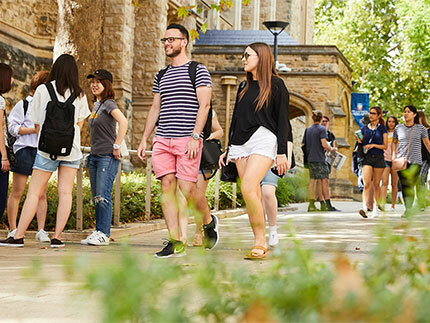 Current trends in education student conference, University of Adelaide, 20 November, 2015. 'Authorial voice and the language of opinions'. Keynote, Malaysian Postgraduate Students' Association of South Australia Inaugural Conference, University of Adelaide, 17 October, 2015. '"Voice" in discipline-specific research writing'. With M. Picard. ArtsEd DocFest, Charles Sturt University, 24 August, 2015. 'Making writing groups work for you'. Panel chair. ArtsEd DocFest, Charles Sturt University, 25 August, 2015. Higher Education Research and Development Society of Australasia (HERDSA) Conference, July 2018. Committee member. Quality in Postgraduate Research (QPR) Conference, April 2016 ongoing. Committee member. International Doctoral Education Research Network (IDERN), April 2016. Chair of organising committee; committee member Sept 2018. Asia Pacific Forum on Educational Integrity (APFEI), November 2015. Committee member. Association for Academic Language and Literacy (AALL). Member. Higher Education Research and Development Society of Australasia (HERDSA). Member.